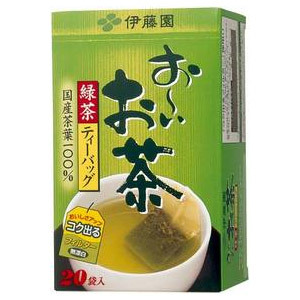 Fine quality Japanese green tea bags from Itoen. Just add hot water. No special bowl, whisk, or whipping are necessary, and there is no bitter aftertaste. Green tea is very healthful because you consume 100% of the whole Japanese tea leaf.